We hope to develop a range of walks for all abilities and age groups. If you have suggestions for walks that connect with the river we would love to add your walk to the website and guidance system. As we plan new walks we would very much welcome the help of walkers of all abilities to test the routes for us. It is very easy to think that directions are clear when you are the person who wrote them! Testers with disabilities and wheelchair users would be especially welcome to let us know about any problems with the routes we may not have thought about, and to help us time and grade the walks. Once the walks are waymarked and promoted, we would welcome local people to keep an eye on signage and elements of the walk that might change, such as gates or stiles so that we can keep the information up to date. If you would like to help with the walks, email or call 01304 214217 for more information. 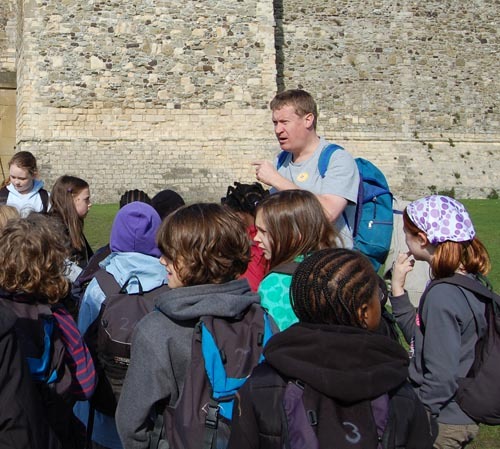 From time to time we may offer guided walks with additional activities for schools, and groups. Volunteers are also sought to help with these walks.